The second of three annual gold bullion coins in the Royal Canadian Mint’s 'Call of the Wild' gold coin series, the 1 oz Gold Growling Cougar Coin is rendered in exquisite detail to celebrate the cougar’s prowess and distinctive growl. This unique highly pure .99999 gold coin incorporates the latest security features in the form of a micro-engraved maple leaf and a tamperproof assay card to confirm its authenticity. As an even more secure investment option, this coin is a great piece to acquire for both gold investors and gold coin collectors. The back of this fine .99999 gold bullion coin features a detailed image of a cougar with emphasis on its whisker covered muzzle, short round ears, and dense fur coverage to bring the animal to life. The design by Canadian Artist Pierre Leduc focuses on the predator’s side profile with lines representing its menacing growl. An effigy of Her Majesty Queen Elizabeth II, Canada’s head of state, appears on the obverse surface of these gold bullion coins along with the gold coin’s CAD $200 face value and its year of issue. You can take direct delivery or elect to store your 2015 1 oz Gold Canadian Cougar Coins safely and securely with Kitco Allocated Storage. Kitco offers you global options for gold bullion coin storage that are fully segregated, insured and allocated. Kitco's network of top-tier gold coin vaults include some of the most secure gold bullion coin storage facilities located in Canada, Hong Kong or the United States (COMEX approved). Cayman Islands gold storage is also available (certain conditions apply). Find out more about keeping your gold bullion coin purchases secure, with our Global Precious Metals Storage Solutions. Why buy Canadian Gold Cougar Coins from Kitco? Kitco is a trusted leader in the Canadian gold coin and physical precious metals industry. 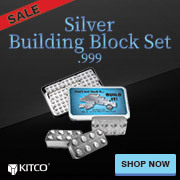 Gold bullion coins and other precious metals sold by Kitco are recognized in gold bullion markets around the world. With our focus on gold bullion, you can benefit from our low gold coin prices and premiums that are highly competitive in the industry. At Kitco, we make it easy for you to manage your wealth. You can sell or buy Canadian gold coins and other precious metals using our convenient online store, or by contacting our team of highly trained precious metals specialists. Backed by our global information network, Kitco is proudly serving our customers since 1977. The 2015 1 oz Canadian Gold Growling Cougar Coin(s) you receive may not be in absolute mint condition.